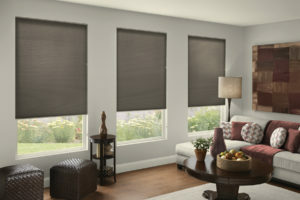 Honeycomb shades offer the best of Form Function Beauty and Versatility. Honeycomb shades offer all of these features, making them the ideal choice to decorate any size or shape window. Enticing colors and fabrics combine with a host of specialty systems to harmonize with any décor in the home. Honeycomb shades also offer protection to interior home furnishing. Cordfree lift and lock system available.